Jerome has spent the last 30 years developing indoor and outdoor forest farming technology at his location in Basalt, Colorado. He is the founder and director of the Central Rocky Mountain Permaculture Institute dedicated to education, research, and demonstration. 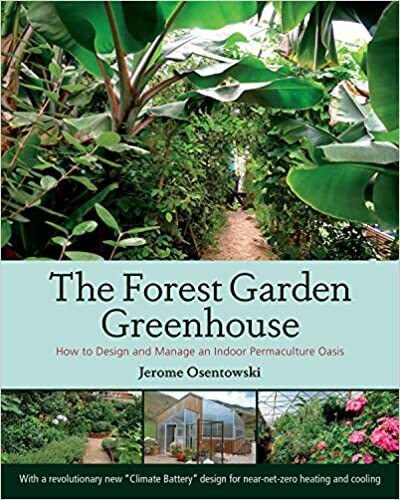 He is also the author of The Forest Garden Greenhouse: How to Design and Manage an Indoor Permaculture Oasis, published by Chelsea Green in the fall of 2015. Where can you find Jerome? IN LAS VEGAS NOW AND WORK AT GARDEN FARMS AND TEACH GARDENING TO ELEMENTARY SCHOOLS AND MAINTAIN THE GARDEN. Lori, We love your enthusiasm! Please check out our classes at Urban Farm U and sign up for our emails for notifications. We have many new items in the works and will post information as they become available. http://www.urbanfarm.org Thanks from the team at Urban Farm U!